If you follow me on Pinterest, you may have seen me pin a marble maze on my gift ideas board. I meant to take a peek at that pin before I put these together, but I decided to give it a shot on my own and see what I could come up with. We have a lot of little ones at our church and every now and then, some little person likes to sit with us during church. 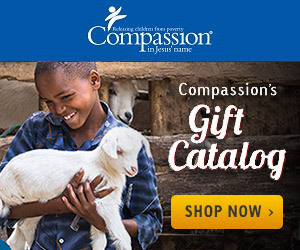 I have been trying to come up with ideas to keep in my church bag to keep these little people occupied if they start to get a little fidgety. 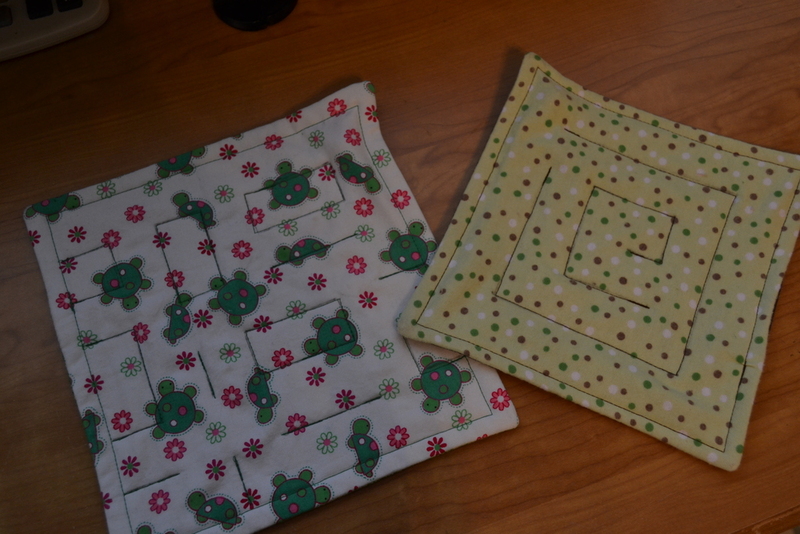 First off, I cut out 8 inch squares of 4 pieces of material, a print for the top, a piece for the back and 2 squares of flannel for the middle. I decided to make these with 4 layers of material, this way the marble has a chance of staying within the fabric a little longer. Then, put the four layers of fabric together, prints will be right sides together, with a square of flannel against the wrong side of each print. I like to pin things together, the pieces don't seem to shift as much while you are sewing them together. A quarter inch seam all the way around should do the trick, just make sure to leave an opening. Clip the corners, this helps the corners to lay down a little bit nicer. Then turn the square right side out. 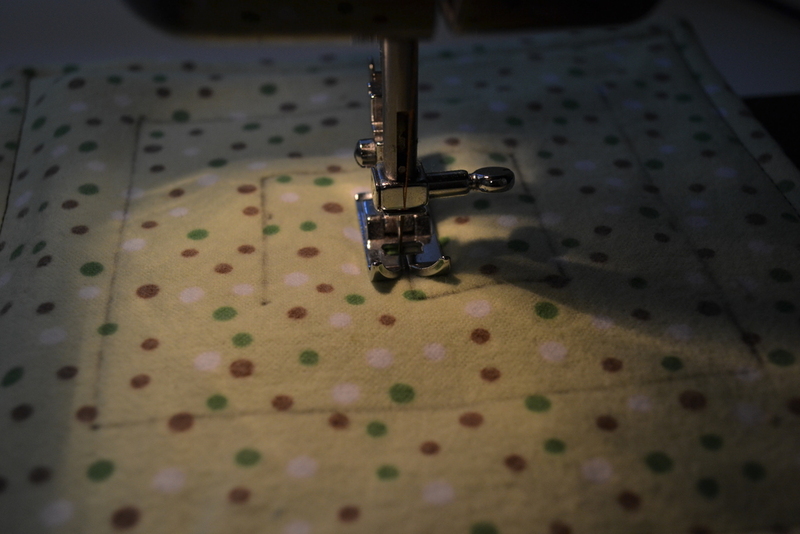 After pressing the seams, make sure you put a marble inside your square between the layers of flannel. 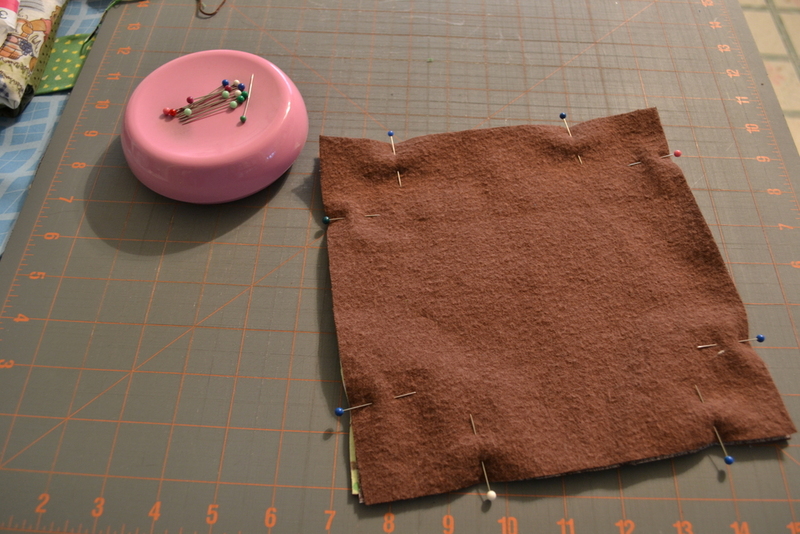 Then sew all the way around the square about a 1/4 inch from the edge. Now here is the fun part! Creating the maze! With a standard size marble (we found a bag at our local Dollar Store), you will want to allow about 1 to 1 1/4 inch pathway for the marble. Using a pencil and a ruler, lightly draw your maze on the top print side of your fabric. After you have drawn your maze, sew on your pencil markings. You may have to move the marble around a little bit while sewing. 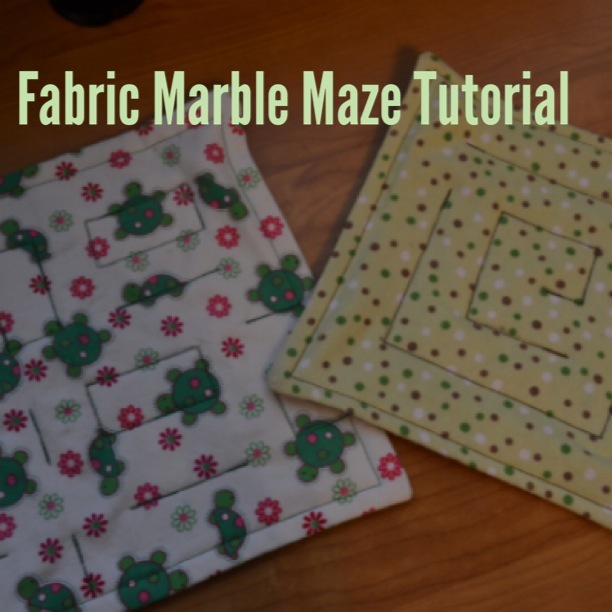 Slip stitch the opening and you now have a fabric marble maze! You can make these any size you wish, and because the material is all cotton, you can just throw them in the laundry if they get dirty.